Not our usual style of music for the site, but with the second biggest football tournament in the world kicking off today, what better way to connect football and music than having a big slice of commercial dance as our week’s final Tune of the Day. Make no mistake, this is not a track for the headz or the cooler music fans. What it is though is a big pop dance track that will be performed in Warsaw by DJ/producer Karmatronic at today’s opening ceremony of the Euro 2012 tournament in Poland and Ukraine. And, more exposure like this should only be a good thing for the scene, right? 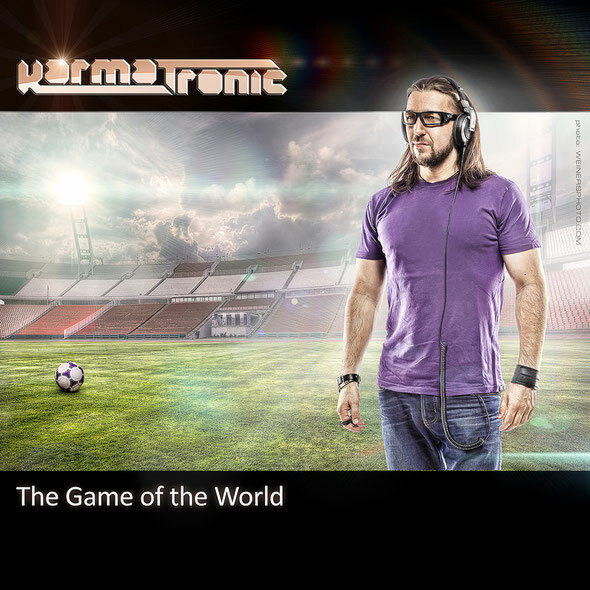 'The Game Of The World' is by DJ/producer Karmatronic and features the vocal of MC Ron. The song is an intentional blend of Polish and Ukranian folk music with a contemporary twist, transporting the song to the forefront of modern dance music culture or EDM (Electronic Dance Music) in current genre terms. The result is an Eastern European tinged, feel-good sing-a-long, that hopes to capture the very energy and magical essence of the game! Today, Karmatronic and pianist Adam György will be opening the UEFA European Soccer in Warsaw, Poland, with an instrumental performance of 'The Game Of The World', accompanied by 800 dancers! This version with Adam on the piano will be released at a later date. An estimated 150 million TV viewers will be watching the opening ceremony, alongside those lucky to have tickets to watch the whole show as the games begin with Poland versus Greece. Although some may not have heard of Karmatronic, he’s already firmly established, having remixed for the likes of Beyonce and Kelly Rowland, with official remixes to their tracks. Among others, Michelle Williams’ 'We Break Down' (Karmatronic Remix) rose to first place in the US Hot Dance Club Play Billboard Chart. In 2008, he had two No. 1 hits on the said chart and first place in Viva Charts and Club Chart rankings. In 2009, his remix to Beyonce’s 'If I Were A Boy” reached second place on the Dance Club Play Billboard Charts. So, he’s got a great pedigree and getting to perform his track in front of so many millions should be applauded. And, hopefully this will do wonders for the Favouritizm label too.